China will need over 7,400 new passenger aircraft and freighters from 2018 to 2037, with a total market value of $1,060 billion, according to Airbus’ latest China Market Forecast. It represents more than 19 percent of the world total demand for over 37,400 new aircraft in the next 20 years. 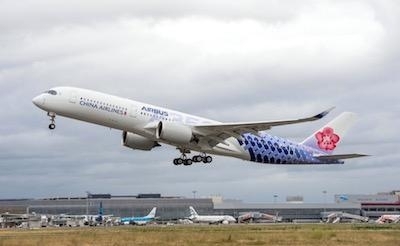 According to Airbus’ 2018-2037 Global Market Forecast, new deliveries of passenger and freight aircraft for China will be more than 7,400 over the next 20 years. In the Small segment, typically covering the space where most of today’s single-aisle aircraft compete, there is a requirement for 6,180 new aircraft; in the Medium segment, for missions requiring additional capacity and range flexibility, represented by smaller widebodies and longer-range single-aisle aircraft, Airbus forecasts demand for 870 passenger and freight aircraft. For additional capacity and range flexibility, in the Large segment, there is a need for 240 aircraft. In the Extra-Large segment, typically reflecting high capacity and long range missions by the largest aircraft types, Airbus forecasts demand for 130 aircraft. By 2037, the propensity for the Chinese population to fly will more than triple from 0.4 trips per capita today to 1.4. Private consumption from a growing middle class (550 million people today to 1.15 billion by 2037) is expected to be the main driver of future air traffic growth. Today this private consumption accounts for 37 percent of the Chinese economy, a share that should rise to 43 percent by 2037. 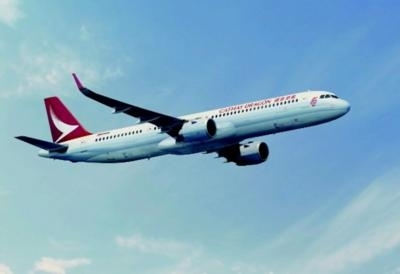 With these strong growth drivers, China will become the lead country for passenger air traffic, for both domestic and international markets as passenger traffic for routes connecting China are forecast to grow well above the world average, at 6.3 percent over the next 20 years. Domestic China traffic has grown fourfold over the last 10 years with double digit growth rates and is expected to become the largest traffic flow in the next 10 years. International traffic from/to China has almost doubled over the last 10 years. With aviation continuing to prove an extremely efficient way to move people and goods around the country, domestic air traffic in China will become the world’s number one traffic flow, tripling from today’s already impressive levels. Flows between China and the USA, Europe and Asia-Pacific are expected to be among the fastest growing globally, with average annual growth rates of 5.7 percent, 4.9 percent and 5.9 percent respectively. Between 2018 and 2037, the average annual growth rate for all international traffic from/to mainland China is forecast to be 6.3 percent.